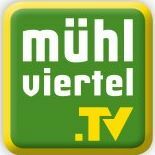 General TV Channel / Mühlviertel TV is an Austrian regional TV station in Freistadt. The television station, originally founded in 1998 with the name MF1 (Mühlviertel Fernsehen 1), was 70% from 2004 onwards and from 2005 until the death of managing director Andreas Reimer completely owned by the upper Austrian private TV station LT1. Since 2009, Elisabeth Keplinger-Radler has been the sole owner and managing director. Every Friday a 60-minute program with a strong regional focus is on the show, which exclusively contains topics and events from the Mühlviertel. The program is repeated 168 times a week and can be called up as a web stream on demand.